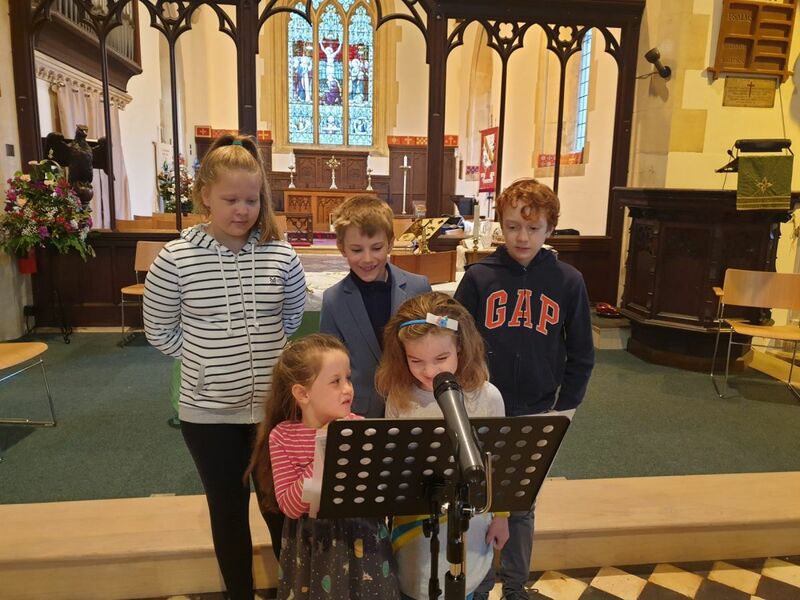 The Revd Sue Greatorex, Vicar of St Bartholomew’s, Lower Cam and Coaley talks about the transforming change that a children’s choir can have on the church family. “When I arrived in Lower Cam, two and a half years ago, we didn’t have young families in church. My church warden Bobbie told me about iSingPop and we arranged for them to come to the local community junior school. 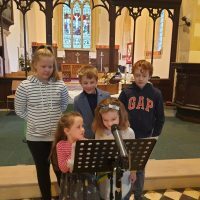 “After they had done their stuff in school and church I sent out a notice to parents asking if any of the children would like to join a children’s choir to sing at our family service. I stressed that there would be one practice on the Saturday afternoon before the family service. “Six children signed up and so of course those families now come to church for the family service. This means that we have a ‘critical mass’ – when other families come, they see that we have children in the church. Our family service is the most well attended service with often almost double the number we have on other Sundays. “As well encouraging families, we now have the beginnings of a music group (two guitars and I am praying for a drummer!) It also means that we are developing our repertoire of more up-to-date worship songs because when the children introduce them everyone just loves them! Interested in introducing contemporary music in your church? Spring 2019 sees the start of a series of training events, aimed at equipping people in all our churches to grow this style of worship. Read more about the courses and book your space.